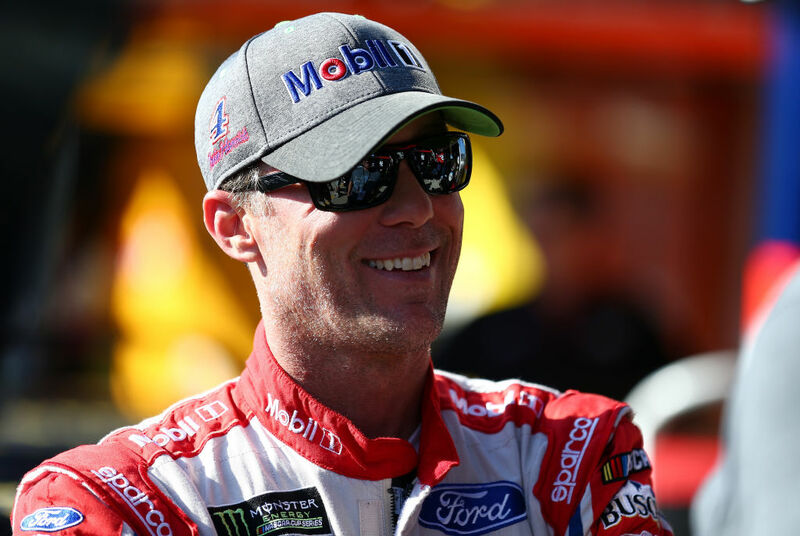 Kevin Harvick is headed to Richmond (Va.) Raceway for this Saturday night’s 400-mile Monster Energy NASCAR Cup Series race with Mobil 1 on the hood of his No. 4 Ford Fusion for the first time in 2018. The challenging .75-mile short track in eastern Virginia should be a perfect fit for Mobil 1’s “Tiny Kevin”. Through the magic of television, Harvick appears as a three-inch tall version of himself as “Tiny Kevin”. For the second consecutive year, Harvick is prominently featured in the advertising for Mobil 1 Annual Protection – the breakthrough lubricant technology that allows drivers to go one full year or 20,000 miles between oil changes. The three-inch tall version of Harvick plays the comedic foil to an average guy getting ready to change his oil and explains the convenience of going one-full year or 20,000 miles between oil changes. Mobil 1 Annual Protection is made up of high-performance synthetic base oils and is reinforced with proprietary anti-aging technology. The advanced formulation resists breakdown, which means it can deliver longer-lasting engine protection while supporting optimal performance. The proof of performance team evaluated the capabilities of Mobil 1 Annual Protection motor oil by conducting tests to measure how oil can oxidize, break down and thicken over time. In the ExxonMobil Proprietary High-temperature Viscosity Control Test, the team noticed how Mobil 1 Annual Protection oil outlasted the other synthetic oils tested before thickening limits were reached. Stewart-Haas Racing’s partnership with Mobil 1 provides the unique combination of experience and innovative thinking to deliver enhanced performance results on the track. The relationship represents an ambition – backed by science – to provide drivers with the best possible lubricant technology solutions. The partnership with Mobil 1 continues to provide on-track testing that helps lead to new lubricant technology developments like Mobil 1 Annual Protection. Harvick and the No. 4 team also benefit from Mobil 1 lubricant technology through improved efficiency of the car using lower friction engine and gear oils, which results in better driveline efficiency and improved reliability by reducing both friction and wear in the final driveline. All the benefits that Harvick and the No. 4 Mobil 1 Ford team receive from using Mobil 1 under the hood should give the team a better opportunity to reach victory lane for the fourth time in 2018. Heading into this weekend, the No. 4 team ranks third in the championship standings with 290 points, 75 behind series leader Kyle Busch. That number is significant considering Harvick and Busch have finished 1-2 in three of the first eight races this year, with Harvick besting Busch in two of those three contests. Harvick leads the Cup Series with three wins and is tied with Busch in playoff points (12), and as Richmond beckons, Tiny Kevin looks to stand stall and protect his lead in the win column with Mobil 1 Annual Protection. How different will it be with the track transitioning from day to night this weekend? Richmond Raceway is going through a substation renovation project at this time. What do you expect to see this weekend?